There are a great variety of driveway finishes and materials available to meet your design tastes, the lifespan you expect to have out of the driveway and how much maintenance you are willing to commit. Asphalt paved driveways are very popular, providing a durable surface for parking your vehicle. Over a long period of time, asphalt paving needs to be resealed, so maintenance costs must be considered. Properly installed asphalt paved driveways have a life expectancy of about thirty or more years. Stamped concrete paved driveways are an alternative to plain concrete. Stamped concrete driveways create the impression that a different type of material is used, such as stone, brick or any other construction material. 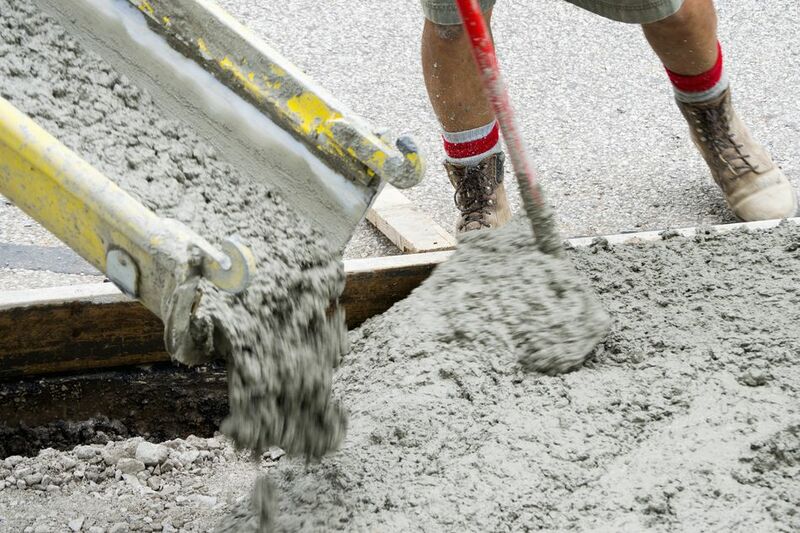 Stamped concrete driveways are created by pressing molds into the concrete while the concrete is still setting. Stamped concrete could also be used on driveways, patios, roads and interior floors. Interlocking pavers are usually made of cement or concrete and shaped so they can interlock with other pavers of the same type. This also makes them easier to install without the use of mortar. The interlocking pavers simulate the appearance of cobblestone pathways. It is important that the interlocking pavers are built over a solid base to prevent pavers from shifting, causing cracks and gaps to appear. Interlocking pavers could be designed with patterns and color combinations to create special and personalized effects. Because pavers are porous, they can become stained over the years and might require pressure washing to remove marks from oil, tires and other contaminants. Chip sealed or tar-and-chip driveways are an affordable alternative to asphalt paving. However, the appearance of this driveway will not be as attractive and smooth as other paved driveways. A chip sealed driveway starts with a gravel base, and then hot tar is poured over the gravel. After the tar has been poured, stones are put on top of the tar, and the surface is then pressed with roller equipment. The tar-and-chip driveway finish can be enhanced by using colored stone, though these stones may loosen over time. A tar-and-chip driveway can be repaved for around half the cost of an asphalt driveway and requires little maintenance. No sealing is necessary and the lighter color will absorb less heat, making it more comfortable to walk on in hot weather. Exposed aggregate is one the hottest trends in finished driveways. Offering a wide range of colors, sizes, and shades, exposed aggregate creates a special and attractive driveway that will enhance this part of your home. Exposed aggregate is one of the most popular driveway finishes, creating a non-slip sealed surface that can last for nearly a decade with little or no maintenance. Exposed aggregate is created using special concrete mixes that combine unique aggregates that are exposed on the surface. The driveway finish reveals smooth textured stones and pebbles that are part of the concrete surface. This is in contrast to a smooth concrete finish in which the visible surface is primarily composed of the concrete "fines" (very small concrete particles). Little of the exposed surface is the characteristic dull grey of the concrete fines.